With digital cameras it helps to play your cards right! SD cards, Compact Flash, xD-Picture Cards and all the flavours of Memory Stick … all have similar structures, so it’s wise to follow some guidelines in their use (read part 1 of this exploration of Memory Cards here). To make sure you take my advice on board, here’s some real life cases of disaster, pain and crisis. It can happen to the best of us. Early 2004 NASA sent a pair of Mars Exploration Rovers to Mars. The vehicles carried digital cameras to take pictures for transmission back to Earth; the planetary wanderers were equipped with three types of memory: 128 MB of RAM as well as 256 MB of flash RAM plus programmable memory (EPROM). After 18 days on Mars one of them faltered and stopped sending the images and other data earthwards, continually re-booting its computer. The cause of the breakdown was not widely promoted. When Rover crashed it suddenly acted erratically and refused to transmit science and engineering data. 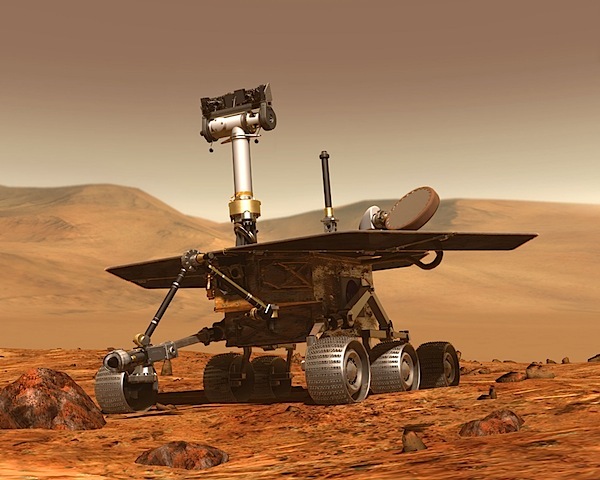 After studying telemetry from Rover, troubleshooters identified a problem with the computer’s use of flash RAM. The culprits? Flash memory and software. Rover’s project manager glumly commented at the time that “Flash RAM is just like the memory in a digital camera. It can also be read to and written from easily”, adding that it has non-volatile characteristics: the stored information remains even if the vehicle is powered down. Rover was placed in ‘cripple mode.’ It was necessary to step around the flash memory and directly access the RAM. This avoided any issues with the flash memory itself. When an explosion was set to bring down an old bridge on the Mississippi River, a newspaper photographer was so close his digital pro level camera was blown to bits. But, to the photographer’s amazement, the SanDisk 256 MB CompactFlash card was unscathed, except for a few nicks, even though it had been blasted from the camera chamber. 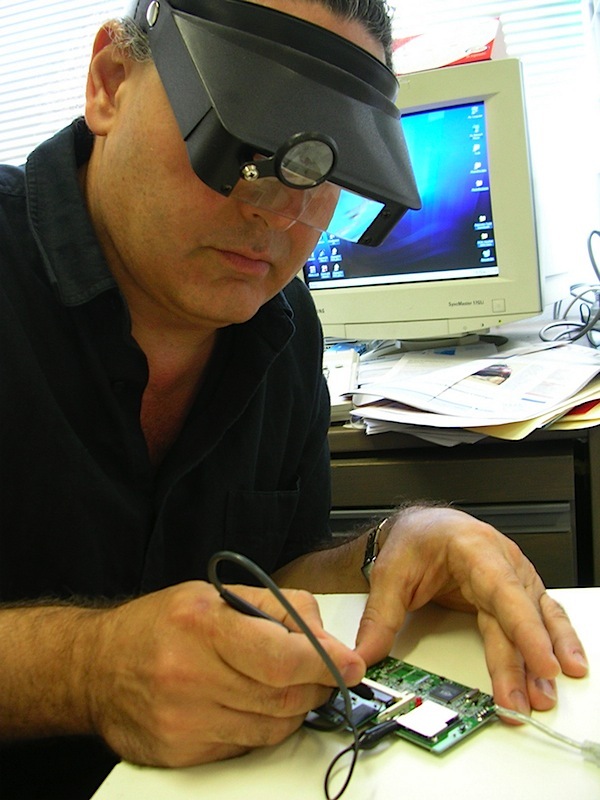 Inserting it into a card reader, the image on the card recorded the last second of the camera’s existence and could be used. One blogger told a story about his purchase of a 512 MB Olympus xD-Picture Card on eBay. The card seemed to be OK but trouble loomed when he tried to load the card into his Kodak LS755 camera. When inserted, the camera requested the card be formatted, with which he complied: “The thing is, it keeps asking me to format and the camera does not recognise the card over and over again.” Stepping down to his local camera store he tried to load the card into another Kodak LS755. Same problem. Reason: Kodak has never made cameras that accept the xD-Picture Card. Once the correct card was tried — an SD — the problem went away! It helps to follow these tips to maintain a card’s health and preserve your precious images. Always reformat the card in your camera each time, after you have downloaded the images to your computer. Deleting the images on your card while it is in your computer after downloading is not the same thing as reformatting the card in the camera. Never load nor remove a card into/from the camera during the image transfer process. Never force a card into a camera. Always handle your memory card by its edges. Don’t touch the card’s contact points. Keep them away from dust and moisture. Don’t bend or twist it. Always turn off the camera’s power before you load the card or withdraw it. When using a card reader always move the icon of the card to the trash, then wait a few moment before removing the card from the reader. Always keep your camera batteries fully charged. If power fails while data is being written to the card both card and data may be damaged. Keep away from any high static charges, strong magnetic charges and extreme heart and cold — and be very careful when handling cards in dry, low humidity zones. Before editing the images, always transfer them to the hard drive. Help! I’ve lost my Pictures from My Memory Card! Here’s some data recovery programs that may save your bacon when the unthinkable happens! Some of these programs are simple image rescue utilities, while others are more in the nature of image erase programs. All are Win/Mac compatible. PHOTORECOVERY. 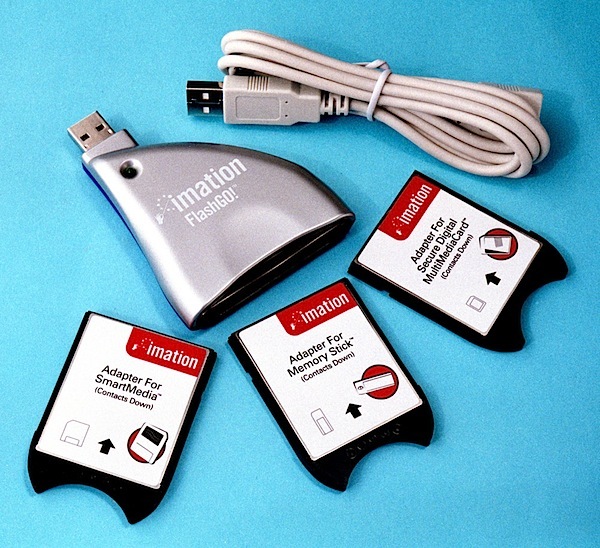 There’s a demo version at www.lc-tech.com/photorecovery.htm or purchase at US$39.95. Windows 2000 or higher. SanDisk RescuePro at www.lc-tech.com/rescuepro.htm Trial version. Price: US$40. Windows and Mac OSX. File Rescue Plus at http://download.cnet.com/File-Rescue-Plus/3000-2248_4-10192710.html – Free demo. Price: US$29.95. Windows Vista, XP etc. PhotoRescue at www.datarescue.com/photorescue – Trial version. Price: US$29. Windows and Mac OSX. ImageRecall 2 at www.imagerecall.com — demo version or US$39.95. Windows. MediaRECOVER at www.mediarecover.com – Demo version. Price: US$29.95. Windows and Mac OSX. Its very common that, loss of stored photos, video file, audio file etc. from Olympus XD picture card due to any one of reason like, virus attack, abrupt pull out, interruption in read/write process etc. But you can get back all lost or deleted data by using Olympus XD picture card data recovery software. If you want to check the capability of software then download its free demo version and preview your deleted data from XD card. Similar to above mention there is also Photo recovery software I would like to share which apple site Mac Photo Recovery instantly without acquiring any technical knowledge. Great Collection. These are what we are looking for. data recovery is a very costly option, always make a regular backups. *""
this is a good piece of information, i can spread this to my photography group. Yes, you should format your card before each use. The thing is, if you simply delete all pictures, the MFT (master file table) at the beginning of the partition can get heavily fragmented, and the card can start losing data. It doesn't really wear away a particular bit of the card - they all have wear-levelling algorithms built in so that they write data evenly across a card rather than using it sequentially. Plus, if you Delete All, you'll still end up with folders and hidden thumbnail files and that lot, which can fragment the MFT even more. I've lost a cardful of images that way. Hi Rachel, you can format your card on your camera. The format function should be located somewhere in the menu. It might say something like "slow format", for example. Just activate this function while your card is inserted properly, and obviously, do not disturb the card during the formatting process which takes a few seconds. The progress will be displayed on your LCD monitor. Just remember to transfer all your pictures before formatting, as the process erases all data from your card. I make use of the USB cable to transfer pictures to my computer. This reduces wear and tear on my camera's battery cover as well as on the contacts of my memory card and the contacts of the card reader in my camera, not to mention handling and stressing of the card. In that sense it should certainly prolong the life of the card. Of course you may get some additional wear and tear on your USB contacts, so you can try to be gentle with them and avoid transferring pictures too often, like transferring them one at a time as you take them, etc. I didn't quite get the point in the article about the need to format the card frequently as opposed to simply deleting files. Isn't this memory card similar to the flash memory/pen drive that we use to transfer data between computers? I don't format that thing all the time either; I simply delete files, and it works just fine. (I format that only when I suspect the possibility of a virus). You should of course format a new card before use. But otherwise, wouldn't it be better to format the card only when required, like whenever the card seems to be slowing down? How do you know when the card has reached the end of its useable life? Is there some warning signal or do you just lose a cardful of images one day? Don't know how true this is but I have read in a few places web and magazine that you should never copy pics from your camera to your computer by USB, you should always use a card reader. Don't remember why, something to do with it damaging the circuitry. No idea If there's any truth in it? While the article says to reformat a card, it never tells us how that's done! I have no idea, can this be explained? Is it better to use cables to transfer or load pics to a hard drive versus using a card reader? Would the cable help prolong the SD cards life? Thanks for this article. Good to be aware of how others do things. Photorec gets my vote too- free and we've used it to recover data off mem cards as well as crashed hard drives at work. NEVER buy a software to recover images from memory Cards.This is FREE and very easy to use. I have a Transcend 128MB Compact Flash card. One day a couple of years back I forgot to take it out of my jeans and washed it in the washing machine. I only realised the card in the pocket of my jeans when I wanted to dry it. i thought I have ruined the card. But when I tried it on my camera after a few days, it turned out to be okay and I am still using it for my 40D. It's free and does everything the above software does. Well, in space radiation is very detrimental to all semiconductor devices. That is why they have to be especially hardened and relatively old technology (large feature size with respect to modern CMOS processes). I am not surprised that some storage cards crap out occasionally. -don't by the cheapest cards on sale at Fry's or any other cheap retailer (Walmart). I like SanDisk Extreme III and SanDisk Ultra III. I had a Kingston give up on me and that was the last time I used those. -another important thing: Don't use very large cards. Use several small ones. If one craps out, you still have pictures on all the others, better than losing everything at once. Darren, have you any arguments to support your first statement about card reformating ? I have a question about deleting images from the memory card. Is it ok to do this while the card's in the camera during a photoshoot? Or should this be done on the computer only? Would appreciate feedback. Hi Neil ! Thanks a lot for the advice. I'm gonna try it as soon as I'll have a bit of time (I suppose during the next weekend). Some of the advice here reeks of urban legend. I doubt that formatting is better for the card than just deleting images, and formatting regularly is just a waste of time. Deleting and formating both erase the FAT (File allocation table) the most, and that will be the area to fail first. Formatting will not prolong the life of your card, although it should recover it if your camera runs out of power halfway through a write (which could leave the FAT messed up). The handling advice is all good - treat your cards with care. Thank you for this article. From now on, I must follow the tips when handing my memory card. There's a perfect FREE program for recovering lost images - and it works! I've tried to use Ontrack Easy Recovery but it couldn't work for me. And it's soo expensive. Instead I've used TestDisk and it recovered my every lost .jpeg file. I found your software good for photo recovery from memory card and other devices. I tried your software for recovery of images form camera, it did fantastic work. As your software works for image recovery from my camera same work done by software named stellar phoenix windows data recovery for recovery of lost partition. It’s also good software and can be useful for others. On a related note, LifeHacker have just published a list of the Five Best Free Data Recovery Tools. I was doing work experience with some photographers who were using Canon EOS 1D mkIII bodies. One of the guy's cameras would not recognize his compact flash card, so he tried it in another guy's camera where it still didn't work. Later they realized that the card itself was bent and this had bent the pins inside of the cameras so neither camera could now read any compact flash cards and both 1D mkIII's had to be sent off to Canon to be repaired! FYI, SanDisk Extreme II and better cards come with a licensed version of RescuePro. Another (free, opensource) data recovery application is PhotoRec. I haven't used it myself, but I have heard good reports about it. Also not sure if it's just limited to SD cards, but if you've accidentally deleted pics from the card then it's probably worth a quick download. Good advices, especialy the one that says "before editing images, always transfer them to the hard drive". The problem is that the advice comes after (but I hope not to late !!). Now I need a bit of HEEEELP!!! I've done a very smart thing (!!) and delited some original files. The pictures remained in another organizer as copies, and I can do nothing with them, as long as the original files are missing. No editing, no burning, no nothing. Is it anything that can be done to recover them? PLEASE ?!! EXIF Untrasher is an excellent program for the Mac that recovers a lot of "lost" photos from memory cards, and it's free to boot. It's made me a hero many times. I've heard mixed things about formatting the card each time. While it can be beneficial to do this every so often, formatting after every image download leads to excessive writes to the card, and thus decreased life.